Sock Summit – Sock Knitting History in the making! Sock Knitting History in the making! Sock knitting can enhance your abilities to learn many interesting things about yourself. It can help you channel your daily stress and calm down your mind. A lot of people today tend to exercise when they feel stressed in order to improve their mental health. However, you would be surprised by the fact that knitting can have the same impact on your body like exercising. Knitting contributes toward improving your cognitive functions and elevating your mood. Even knitting simple sock patterns can have a great relaxing effect on you. Sock knitting is a meditative process of which you can benefit in numerous different ways. Therefore you should definitely try it and you will see how good it can be for you. Many sock knitters have pointed that they feel very nice and calm when they rhythmically move the needles with their hands. Sock knitting provides the same feeling like when you are doing yoga or meditation. It completely calms down your nerves, your mind, and makes you more focused. Many studies have pointed out that brains of people who knit socks are going through same phases as people who are doing deep meditation. The repetitive process of knitting socks stimulates different functions of the brain and promotes relaxation. So sock knitting is great anti-stress activity which is beneficial for your brain. You may wonder how all of this is possible with sock knitting. The truth is that while you make the repetitive movements with the needles, certain parts of your brain get stimulated. When that happens, your mood is affected and you start to feel much better. Knitting socks is in some way similar like solving puzzles or riddles. It keeps you focused and that leads to meditative state of mind. Over time, sock knitting can keep the stress and anxiety away, so your mental health will always be in perfect shape. Sock knitting is really helpful for your entire body. When you knit socks, you are keeping your brain responsive and in great shape. Sock knitting is also ideal way for you to take your mind off from thinking about negative things and situations. People who have went through difficult situations or traumas will especially benefit if they start knitting. Step by step they will start to feel much better and will be able to overcome their problems much more quickly. Knitting socks definitely promotes overall good health. It can help you mentally, emotionally and physically. Some people still see knitting as boring thing to do, but it definitely helps your brain in numerous ways. That is why you should get your knitting needles and start knitting today. Many health professionals have suggested that knitting socks is a perfect therapy and perfect way to reach mindfulness. You should not see sock knitting as just a simple boring activity, but as a way to get into meditative state and improve your overall mood. You can find others online via username forums such as Dirty Usernames to find lovers of sock knitting. With others to connect with the same passion will increase your love for this. Give sock knitting a try and soon enough you will feel much better while doing something very productive. Sock knitting is a great activity which will not take much of your time. 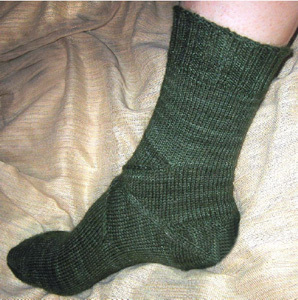 It is relatively small project and you do not have to have expensive needles or yarn to knit yourself socks. You do not even need any special pattern, so it is a very easy thing to do for beginners. Knitting socks will take just a few minutes of your time and another great thing is that handmade knitted socks are very comfortable to wear. Many people still wonder why knit socks when they can just go to the store and buy them. 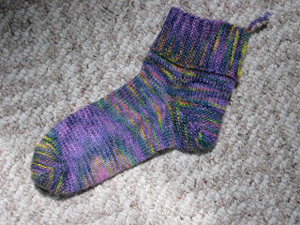 Well, to start with, knitting socks is fun activity and it is always good when you can create something from nothing. Socks knit up relatively quickly, and although it might seem like a complicated thing to do, knitting a pair of socks is not hard at all. As soon as you learn the basics of knitting, you can start knitting without any pattern. Great thing is that you can knit socks anywhere, while riding a bus, sitting in a car, while relaxing at home or waiting somewhere, etc. Fact is that socks usually get worn out quickly, so you can knit as many socks as you like because you will always need them. Another reason why you should choose sock knitting over buying them is that knitted socks are unique socks, much different and more comfortable than bought socks. You can create socks that fit perfectly on your feet, and when you do, you will never go back to buying socks. Knitted socks are not only warmer, but they also fit well and are better to wear than any pair of socks that are found in stores. Also if your feet are prone to getting blisters, then wearing knitted socks will keep them in much better shape. Knitting socks is definitely worth it, so you should give it a try and you will see that knitted socks are always better than those in stores. In order to knit your socks you only need a couple of things. Of course you need a quality sock yarn. Quality yarn for making socks is usually a combination of superwash wool and polyamide. This type of yarn ensures that your socks will always keep your feet warm. Superwash wool means that this wool is properly treated with different chemicals so you can wash them in the washing machine. However, you should never tumble dry your knitted socks. Presence of polyamide will make the sock yarn very durable so you can wear your socks for longer time. Besides yarn, you also need needles for knitting own socks. Today you have many options when it comes to needles, and most socks are knitted with so-called double pointed needles. Besides these you can also use circular needles for knitting your socks. As you can see, sock knitting does not require much, but it provides you with several great things. Knit your socks today and you will never go back to buying socks again. This article was sponsored by SnapSexter. Post your photos with #sockknitsnaps and be featured! Socks are types of clothing that are worn on feet. They are made of different materials, mostly of wool, but from other materials as well. The process of sock knitting can be very exciting, enjoyable and very easy to do. Knitting socks requires just a few balls of yarn and following a few simple steps. It will not take much of your time, but it will fill it with pleasant activity. Socks need to be knitted after carefully examining the size of your feet. After you made a few calculations regarding your feet length and ankle circumference you can start the process of knitting. 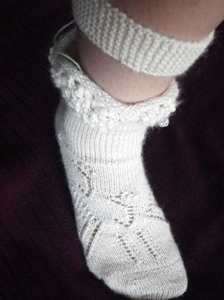 In the past sock knitting was often associated with older women, but today many young people are doing it. It gives you chance to completely control the sock design, style, as well as the color. If you are a beginner it may take you a few tries before you knit your socks properly, but you will have no problems if you follow a few pointers and practice often. First thing you need to do is to choose the sock knitting pattern. Choose something that will be visible and that will look nice. There are many sock patterns that you can use, so chose something you like the most. Start with a yarn that is familiar and after you have knitted some socks you can then experiment for your next sock knitting projects. When it comes to yarn, always be careful with the type of yarn you pick. You need a yarn that is flexible and that has good elasticity, so your socks will hold on tight and will not drop loose. A good choice would be picking yarn that is made of wool but has some nylon in it. If you do not want to hand wash your knitted socks, pick wool that can be super washed. Regarding the actual sock knitting process you should know that men socks are usually ten inches in size, while women socks are eight inches. Children`s socks differ in size. Another thing you should calculate is the number of stitches, because that way you will be able to knit more easily. Stitches must be equally divided between three needles. The first of the stitches comes at the start of the round. The next step to follow is ribbing and larger needles are used for the process. Then you need to design the sock heel with half of the stitches on one needle and half on other needle. When you start knitting you need to do it with a single needle, front and back. Before you form a gusset you can make the linen stitch for two-thirds rows in the sock heel, and stitches are then picked alongside sock edges. These were some pointers about how you can start sock knitting. You should try it and you will see that it is not that hard. The main thing is to be persistent and practice your knitting skills. Start knitting and after a few tries you will surely knit perfect socks for you. This article was sponsored by MilfSwiper, the #1 app to find mature singles with the same interest.